In 1922 Huddersfield Town won the F A Cup. A team photo of the winning XI shows an extra man. That man is Ted Davis. He should have been keeping goal, but his Mum died. Ted stood down from the team, but was awarded a special winner’s medal. That was the sort of man he was – loyal to friends, family – and to Bath City for 11 years from 1926-1937. The ex-Blackburn, Huddersfield and Bristol City goalkeeper joined City in 1926, first as a player, then player-manager and finally manager. He had a shrewd business brain as well as a good football brain. He signed his young nephew Sid Bird in 1928 on a free transfer, and sold him to Huddersfield the next January for £300 – a lot of money in those days. Bath City won the Southern League in 1929/30. It was noted that ‘Not a man has been sent off or cautioned during the season.’ Success on the pitch was matched by ambition in the board room and among the supporters. The owner of a building firm called Arthur Mortimer – later Mayor of Bath and Mr Bath City for four decades – was getting involved, and already offering jobs to the part-time players. The ground purchase was seen as the first step to League status for the club, but the ‘if’ was a big and important one. What the Club had bought at auction at the Full Moon pub for £1700 was two houses (35 and 35A Twerton High Street), an orchard and a steep field up behind. Not an ideal football pitch by any stretch of the imagination. Chairman Mr A. Hunt described it as ‘a suitable ground and in a district that supplies a very large proportion of our spectators.’ Spectators who since the First World War had trekked out to the soggy water-meadows at Lambridge to watch the Black and Whites play on what is now on of Bath Rugby’s practice ground. 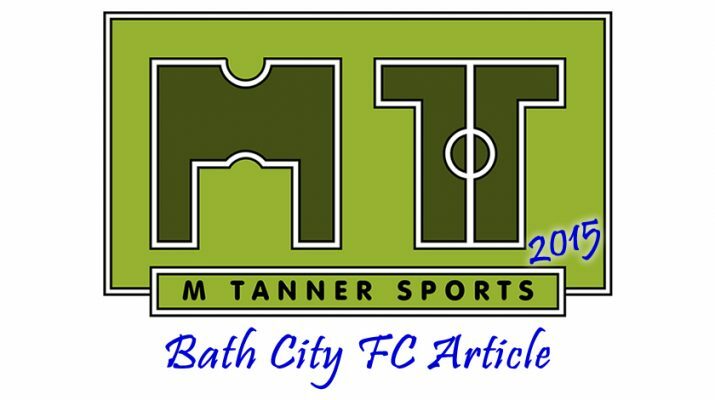 Football was coming home at last – to Twerton. Work on the new site at Twerton dragged on. Professional players were expected to double as navvies, with extra voluntary help provided by local men such as my Dad and his mates. But 1930-31 was a bad season for the City, and it needed a visit by Ted Davis’s old club, Blackburn Rovers, for an end-of-season friendly to put the finances back on an even keel. As so often in City’s history, it was the FA Cup which came to City’s rescue. On 12 December 1931, Jimmy McCartney’s last-minute winner saw City home to a famous 2-1 victory over Crystal Palace at Lambridge. Those players working on the new ground at Twerton had been withdrawn for ‘special training’. It must have been very special! Come January 1932 the team were off to Brentford in the Third Round – defeat but half of a 15,000 gate to ensure that work at Twerton could be carried on. This is a debut piece from JP and the next instalment will look at Twerton Park being created in the 1930s. 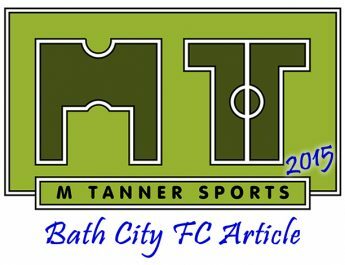 It is the first in a series of 3 parts looking at Bath City’s rich history from men who have been supporting the club for over 50 years as their Dad’s and Grandparents did before them. You can find more old pictures of Bath and surrounding areas on the Bath In Time website here. 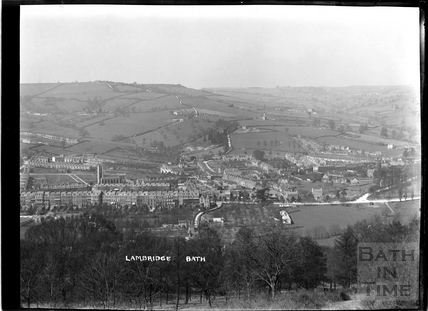 The one used is of Lambridge in 1904.